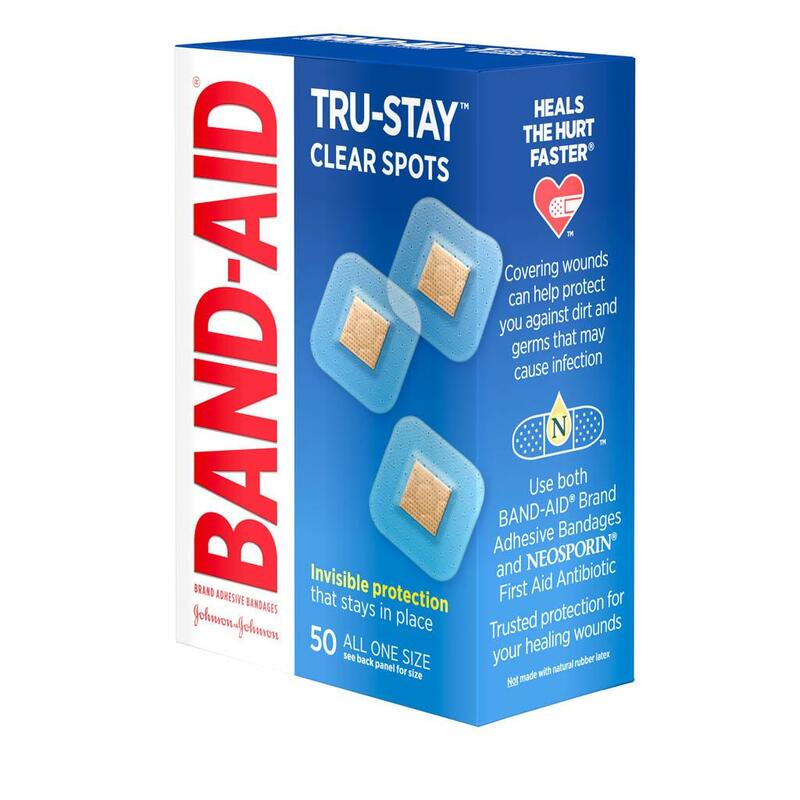 BAND-AID® Brand TRU-STAY™ Clear Spots Bandages provides coverage and protection of minor cuts and scrapes. These sterile bandages feature a clear design and blends with your skin for maximum discretion. 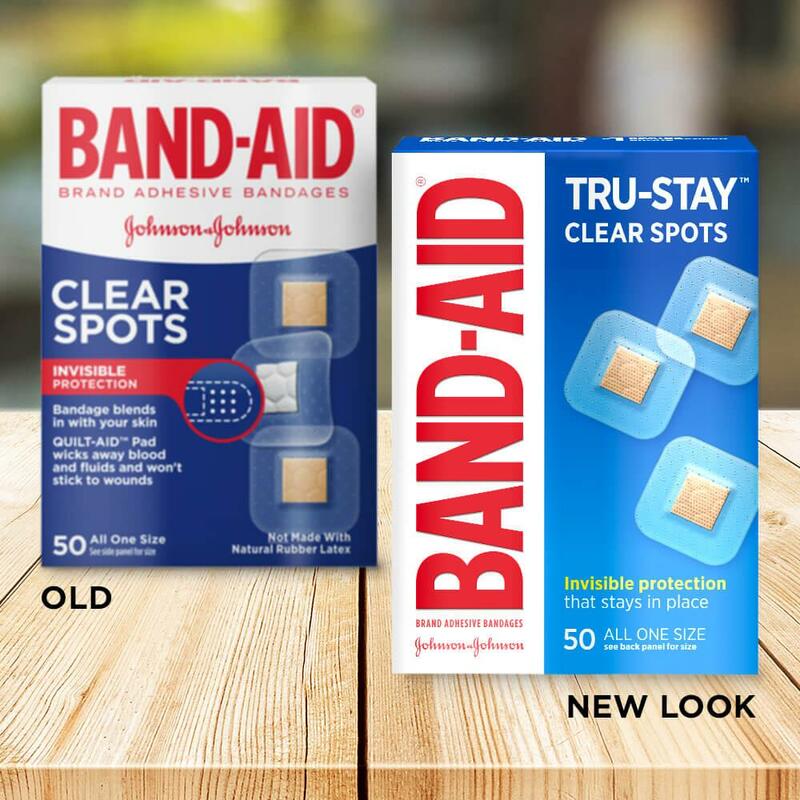 Made with MICROVENT® backing, each bandage provides superior breathability. 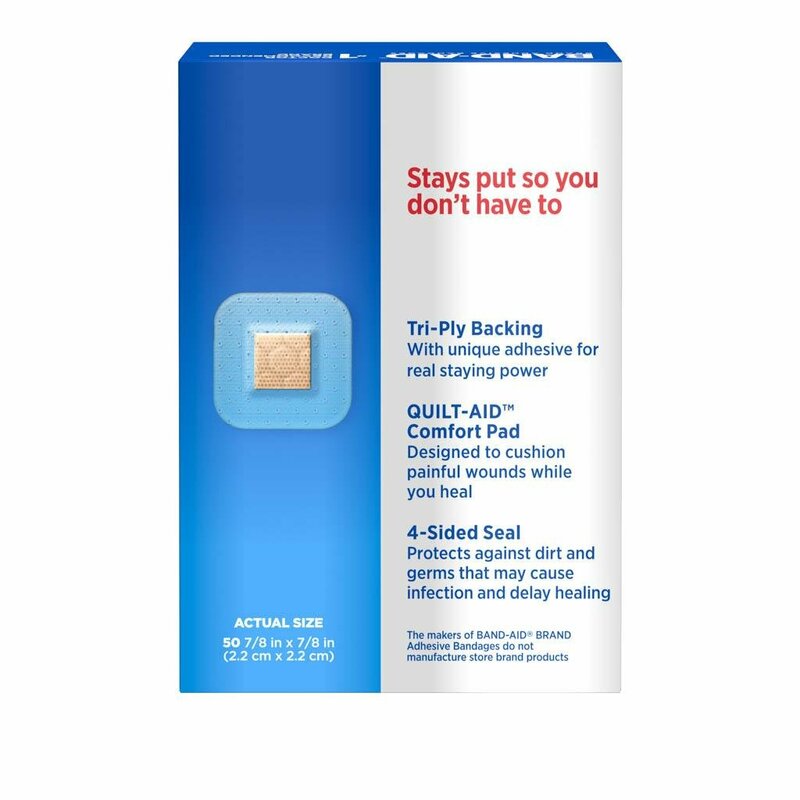 This package contains 50 BAND-AID® Brand Adhesive Bandages, each with a QUILT-AID™ Comfort Pad that is designed to cushion painful wounds while you heal. The product is generally fine. However, the backing often sticks to the adhesive. But the real issue with the product is that it is impossible to open. The spoilage is probably 30% just trying to get the clear spot open. 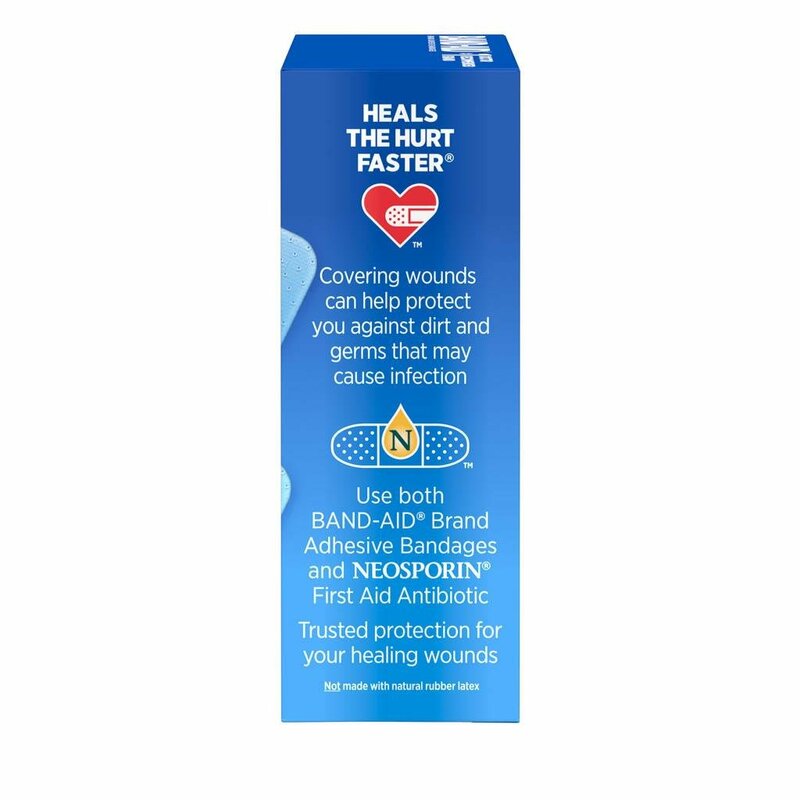 Please look at the CVS product and "steal" their method of an easy opening bandage. Would I recommend this product? I'm not sure. If the packaging was changed I would recommend it. We'd like to hear more from you about this! Please give us a call at 1-866-565-2873 M-F between the hours of 9A-5:30P ET. Thank you and have a great day! Allergic reaction to latex free? First, the only positive thing I have to say about these band-aids are they actually stay on remarkably well. Second, getting the wrappers off the back is difficult, and the paper doesn’t come off easily. Third, the biggest thing for me was the rash I got from the bandage. I have a latex allergy, and I specifically bought these because they state they are NOT made with natural rubber latex. Broke out after my second bandage change. Tried finding an ingredients list, and come to find out there is no actual ingredient list available. Not on the box, not on band-aid website, and no where on google. We are sorry to hear this and would like to learn more. Please call us at Please call us at 1-866-565-2873. We're available Monday-Friday from 9AM-5:30PM ET. We look forward to speaking with you. I use these to cover my injection sites that sometimes bleed.. I have no problem taking off the paper backs.. Problem I have is finding them in stores..
a. It's a problem 50% of the time just to get the outside paper wrapper off. b. 100% of the time the plastic tabs can't be pulled cleanly off the sticky part of the band aid. Mostly, you end up mutilating the band aid and having to start over with a new one. 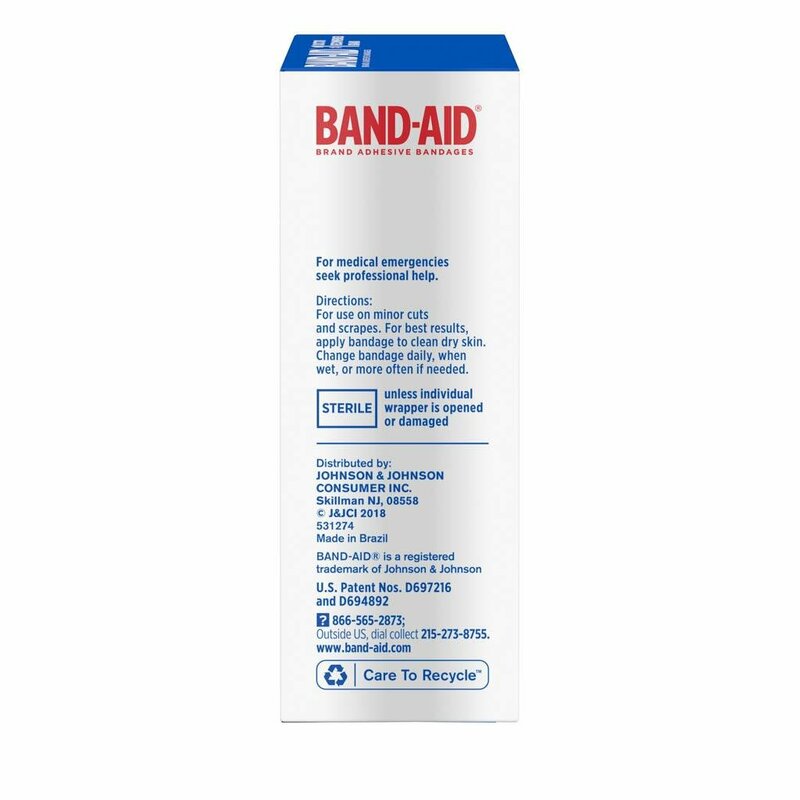 c. If you are successful in getting the plastic tabs off the band aid it will not completely seal around the wound. There is ALWAYS at least 2 corners of the band aid that will not stick to your skin. No matter what you do. Even if you don't touch the band aid with your fingers and use a tweezer or some other implement; it will not stick and it will eventually peel off. And I can guarantee you I do not have greasy skin. DO NOT WASTE YOUR MONEY LIKE I DID. I keep think that I'll get one of these band aids to work for me. I've been working my way through the box one by one throwing each of them in the trash like the rubbish they are. We're so sorry to hear about this experience you've had with our bandages. We'd like to learn more and see how we can help. Please give us a call at 1-866-565-2873, Monday - Friday from 9:00 AM to 5:30 PM ET. We look forward to speaking with you! PLEASE make these more avilable!!!!!! They are the best, and I'm having a terrible time finding them. PLEASE make these more available!!!!!! They are the absolute best!!!!! I'm having a terrible time finding them Why is it that when a product is wonderful, so many times the manufacturer discontinues them.? Now I have wasted money on numerous boxes that I don't like and will throw away. I've read other reviews and have decided I must be the only one who has trouble getting the little back peeled off once half is removed. Not my favorite bandage. We're sorry to hear about your difficulty with our packaging. We'd love to learn more and see how we can help improve our products, to make them easier for everyone to use. Please give us a call at 1-866-565-2873, we're available Monday through Friday from 9am-5:30pm ET. Hope to hear from you soon!